Dell has launched the Precision M2800 Mobile Workstation, a Windows 8.1 machine aimed at design professionals and students that offers some tasty specs for a no-frills price tag. The mobile workstation features a 15.6-inch display, a choice of fourth-generation Intel Core i5 or i7 processors, an AMD FirePro W4170M graphics card, up to 16GB of RAM and up to 1TB of storage. The rig also comes with the Dell Precision Performance Optimizer, which automatically adjusts and optimises system settings for specific applications, providing a boost to performance without the need for the user to make any changes. 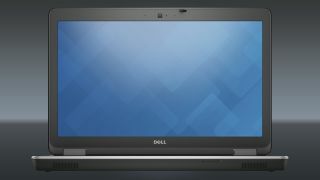 Dell sees the Precision M2800 as a way to address the problem of designers and students being forced to use standard laptops, which may not have enough under the hood to properly run resource-intensive programmes like Adobe Creative Cloud or Autodesk AutoCAD. The new workstation is ISV-certified for applications like AutoCAD, Inventor, Revit, Solidworks, PTC Creo, and other titles. It also includes Dell Data Protection. It is designed to bridge the gap between commercial laptops and mobile workstations with a more budget-friendly price point. The Precision M2800's retail price starts at £799 ($1,199/AU$1,450).